Tri-folded Wallet Card. A simplifying pocket reference for the popular VR-500 Scanner. 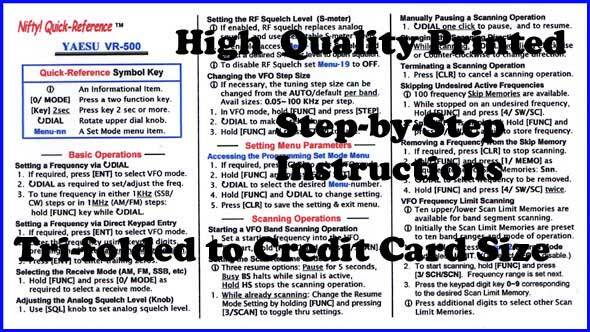 Laminated three-page foldout pocket guide, the size of a credit card for easy carrying in a wallet or purse. High quality printing on both sides.